The silicone flip top seals when plugged but is NOT upside-down, bottom-of-the-bag leakproof. 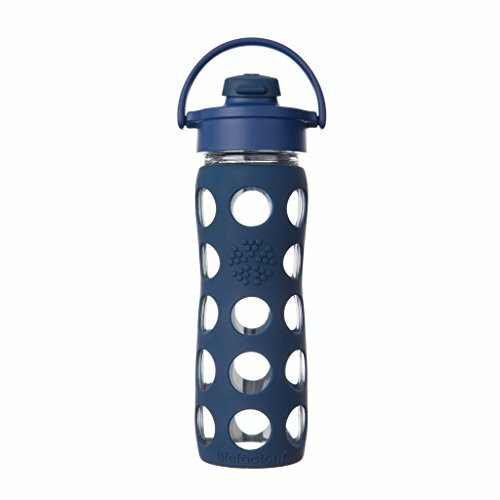 The new Lifefactory glass flip top cap beverage bottles are perfect for the gym or in the car. The Flip Cap provides a narrow-mouth spout for on-the-go drinking. Slim and mobile. The 16 oz travels wells and looks great doing it. The silicone flip top seals when plugged but is not upside-down, bottom-of-the-bag leakproof. The pivoting handle provides a great way to carry the bottle and stows out of the way while drinking. 16 oz (475ml).